The FIA is set to introduce the halo as its preferred cockpit protection device in Formula 1. The debate between halo versus Red Bull’s aeroscreen continued during a meeting of the technical regulations working group, which includes the technical directors of the F1 teams and the FIA’s Charlie Whiting, in Monaco on Friday. It has been determined that while the aeroscreen is a robust device, and preferred by fans over the halo, the time constraints now pressing on the teams make the halo the way to go. 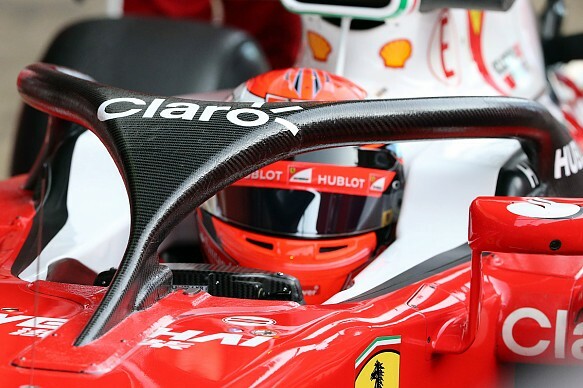 With a deadline of July 1 imposed for confirmation of which device would be given the go ahead, the lack of testing of the aeroscreen over the halo was one of the deciding factors. It is understood the aeroscreen is also heading in a direction the FIA is not keen to pursue at this stage, although it is far from off the table for 2018 onward. For now, a modified version of the halo – first seen on the Ferrari during pre-season testing at Barcelona (above) – is scheduled for further safety testing on June 24. The new version is understood to be more streamlined compared to its chunky predecessor, which drew numerous negative comments on its debut. Providing the upgraded halo passes these tests then it will be formally approved at the next technical regulations meeting on July 6. This will provide the teams with enough time to implement it into bodywork designs for 2017 that are already significantly altered given the regulations changes due to come into force for next season.